Program includes a concert, astronomy lecture, and (weather permitting) viewing through the historic 35-inch Great Lick Refractor and the 40-inch Nickel Reflector telescopes. Knowledgeable local amateur astronomer provide additional telescopes and informal astronomy discussions. 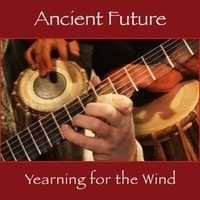 Ancient Future is the first and longest running organization dedicated exclusively to creating world fusion music. The term was coined by bandleader Matthew Montfort in 1978 to describe Ancient Future's unusual blend of musical traditions from around the world. Billboard calls the group "trendsetters" for their early contributions to world fusion. Geoff Marcy will be giving a lecture entitled "One Small Step: Other Earths & Intelligent Life in the Universe".